Silver Vinyl. New album from Steve Mason - his 4th solo album - and having written most of his previous albums alone, About The Light marks a change in approach for Steve. 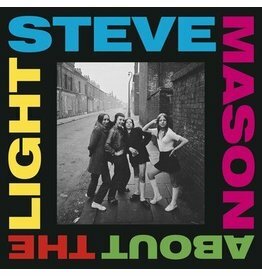 New album from Steve Mason - his 4th solo album - and having written most of his previous albums alone, About The Light marks a change in approach for Steve.